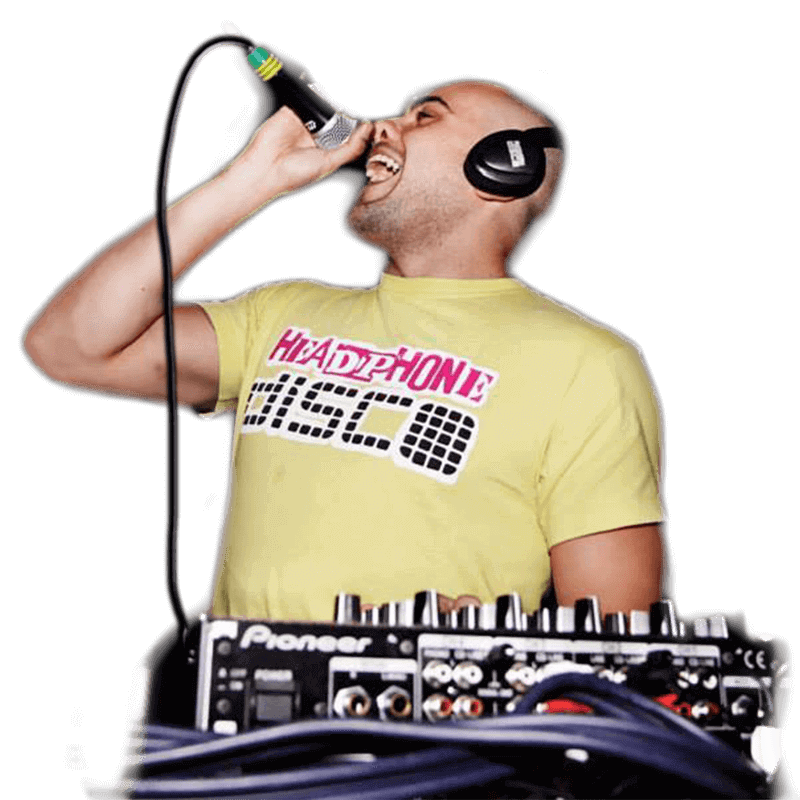 Operating since 2007, Headphone Disco has grown to become the largest silent disco event producer & wireless headphone rental company worldwide. With tens of thousands of top of the range headphones available, we power hundreds of events across the globe every year for clients including Firefly Festival, Creamfields and The Rock Boat. From festivals, nightclubs and corporate events to weddings, birthdays and bar mitzvahs – whatever the size or type of your event we’re here to help make it a night to remember at an affordable price. How can we help you host your silent disco party? You rent our wireless headphones! We deliver all the tech you’ll need. Free delivery nationwide! You throw your own awesome silent disco. You pack away the kit, and we collect it again. Our crew arrive at your location and set up our full audio-visual production. Our DJs battle it out playing up to 3 different channels of music at the same time! The crowd flicks between channels to take control of their dancefloor experience. Your audience leaves thrilled and delighted while we pack up the show. I’ve had the pleasure of working with the team from Headphone Disco for the past three years at Firefly. We consistently appreciate their flexibility in planning and on site operations, as well as their passion for creating a truly memorable experience for our festival attendees. They have been a great partner in developing the experience and we look forward to Firefly in 2017. …with this being our second go-around with Headphone Disco this year, we have been nothing but pleased with the event. We look forward to having Headphone Disco back again next year..